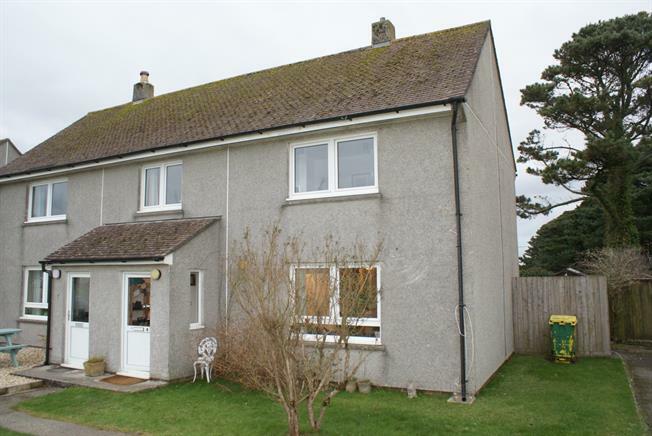 2 Bedroom Semi Detached House For Sale in Wadebridge for Asking Price £165,000. An extremely well presented, two double bedroom semi detached house, located in arguably one of the most sought after positions in St. Eval, overlooking the lovely playing fields. The accommodation comprises a porch, entrance hall, lounge, modern kitchen / diner, bathroom and separate WC. Complemented with double glazing, gas central heating, private enclosed rear gardens and private allocated parking for three cars. A viewing is highly recommended. UPVC single glazed door into the porch and single glazed uPVC window facing the side. Tiled flooring. Inner door into the entrance hall. Wooden single glazed door. Single glazed wood window with patterned glass facing the front. Radiator, laminate flooring, under stair storage and built-in storage cupboard. Access to the living room and stairs ascend to the first floor. Double glazed uPVC window facing the front overlooking fields. Living flame gas fire, laminate flooring. Access to the kitchen / diner. A modern and spacious kitchen area which comprises; uPVC French double glazed doors opening onto the garden. Double glazed uPVC windows facing the rear. Radiator, laminate flooring, part tiled walls. Roll top work surfaces, a range of wall and base units and larder cupboard, one and a half bowl, stainless steal sink with drainer, space for a range oven with an overhead stainless steel extractor, space for a slim line dishwasher, washing machine and fridge/freezer. Additionally there is ample space for a kitchen / dining table. Access to the bedrooms, bathroom, separate WC, airing cupboard and roof void. Double glazed uPVC window facing the front overlooking the playing fields. Radiator, carpeted flooring, fitted wardrobes. Double glazed uPVC window with obscure glass facing the rear. Radiator, part tiled walls. Panelled bath, with an electric shower over, pedestal sink and extractor fan. Please note the development of St. Eval is offered with a management company, which cares for the upkeep of the roads, communal parking and greens. 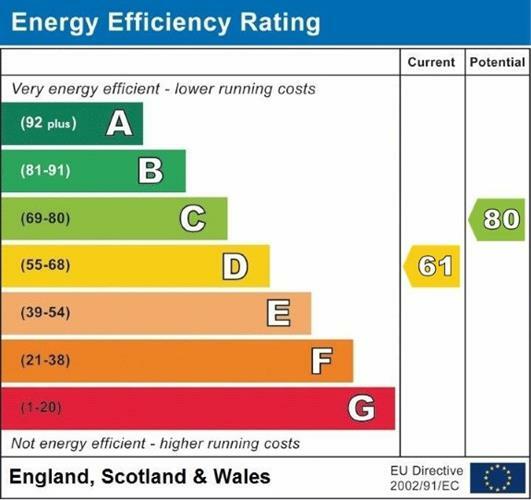 There is a management charge of approximately £35 per month, index linked and in light of this, the council tax rating is reduced. The property is approached over a path to the main entrance, with a low maintenance garden to the front and side with a timber gate. The majority of the gardens are found to the rear, all on the level, partly laid to patio but mainly lawn, enclosed by a high timber fence providing a degree of privacy. There is range of mature trees, plants and bushes. The property is also being offered with two outside timber sheds, one perfect for gardening tools, the other has the potential to be utilised as a studio, office or home gym. Similar residences in the location have also extended to the side which offers potential subject to relevant planning consents. Any interested party must make and rely upon their own enquiries through Cornwall Planning Department. To the immediate front there is two allocated parking spaces, one behind the other and a third within a short walk from the residence. A viewing internally and externally is advised.